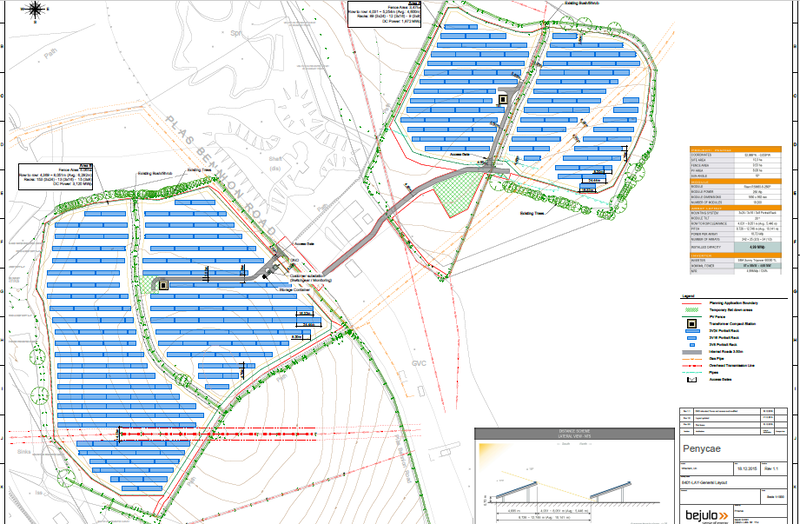 Adiant Solar Opportunities I S.A., Adiant Capital Partners’ PV Luxembourg construction financing fund and bejulo GmbH from Mainz have signed an EPC contract for the erection and maintenance of a PV park with a capacity of 5 MWp in Penycae in central England. The PV system is intended to become part of a portfolio of multiple PV parks in the UK and will go on grid by 31st March 2016. The particular challenges facing this project are due to the very tight schedule and the difficult weather conditions to be expected in the UK at this time of year. However, thanks to good preparation by the British project developer SBC Renewables, technical support by bejulo and coordination by Adiant, there is nothing to stop the system going into operation on schedule. Construction will start in the next few days. Proven over many years, the combination of sub-construction by Schletter, inverters by SMA and crystalline modules form the basis of long-lasting, trouble-free operation. Local companies are used for the construction site setup and the mechanical and electrical implementation. Thanks to their experience in the PV field and especially their detailed knowledge of the local requirements, no significant difficulties are expected during the erection. bejulo GmbH specialises in the development, planning, implementation and operation of large-scale PV projects worldwide, supported by a network of renowned partners and suppliers. We aim to decouple the success of renewable energies from feed-in compensation and to establish new, workable merchant business models based on direct electricity use and marketing.